Marconi Room  (Queen Bed)  $85.00              handmade in our kitchen. October 16 Til June 14 all Rooms are $75.00 + tax per night. Glassed Sunporch for Reading and Evening T.V. Evening Dinner available by reservation. The "Lavender Room" bridal suite is available upon request. The Jack Pitman Memorial Library for Private Dining. Step through the doors of this authentic Victorian mansion and take a step back in time to 1891. 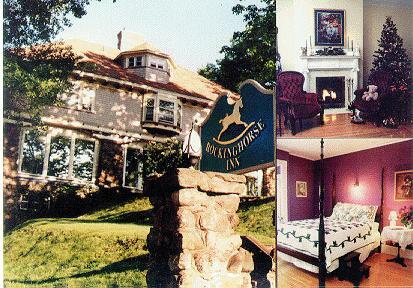 The Rockinghorse Inn will allow you to experience all the charm of yesterday with the good service you expect today.